End of season clearance! 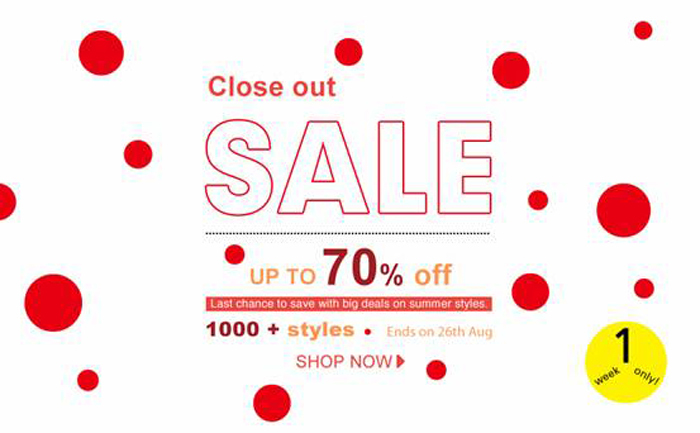 Choose from over 1,000 styles, 70% off! You have 1 week to shop. Sold out items won't be restocked. In addition, there are also many new designs with discounts. More surprises beyond deals! Don't miss this sale. August 20! Happy Shopping!